Most towns have a local hero – sometimes even more than one, but in the mid-17th century, the heroics of an entire village helped prevent the spread of the black plague and in doing so undoubtedly saved thousands of lives. 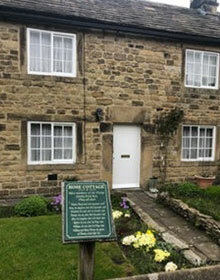 The ancient village of Eyam is situated in one of northern England’s most beautiful areas; the Derbyshire Dales, home to the Peak District, the U.K.’s oldest national park. 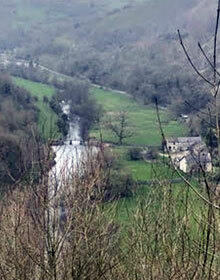 Currently there are less than a thousand residents in Eyam, but back in the mid-1600s there were just 350. Sadly, of that amount 260 would succumb to the plague over a 14-month period. The Great Plague of London caused an estimated 100,000 deaths in just a year and a half. 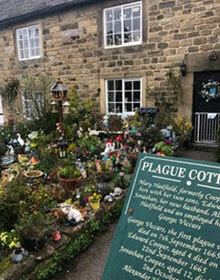 The disease was largely confined to London, but outbreaks occurred in other areas too, including the small northern mining village of Eyam. It was there, in September of 1665, that a tailor’s assistant called George Viccars unwittingly disturbed a batch of disease-ridden fleas that were contained in a bale of damp cloth newly arrived from plague-invested London. Within days of him hanging the cloth in front of the fire to dry, Viccars was dead. The date was recorded as September 7, 1665. Over the next three months, 42 more villagers died and by June 1666, many were making plans to leave the village. Had they fled, they most likely would have taken the disease with them, spreading it into the surrounding areas. 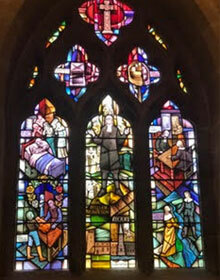 Instead, they were persuaded by the village’s newly appointed rector, William Mompesson, to stay put. He impressed upon the villagers that the only way to prevent the disease spreading to nearby towns such as Sheffield and Bakewell and beyond, was to cordon off Eyam. No one should leave and no one should enter. 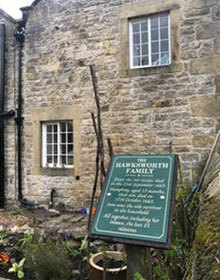 Providing the villagers agreed to Mompesson’s plan, food and supplies would be sent in by the Earl of Devonshire, who lived in neighboring Chatsworth. Additionally, if the villagers agreed to the self-imposed quarantine – which they knew would almost certainly bring about their deaths - Mompesson promised he would remain with them and do everything he could to alleviate their suffering. The brave villagers agreed to implement the “cordon sanitaire,” thereby risking their own lives in order to save the lives of those in the surrounding communities. August of 1666 was a particularly hot month, and the plague invested fleas were more active than ever, causing five or six deaths a day. 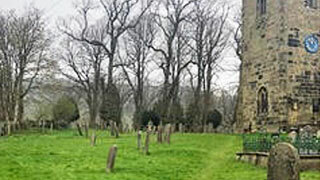 Burial records show one wife and mother lost her husband and six of her children in the space of just eight days. But the villagers remained steadfast and didn’t break the cordon. In a little more than a year, 260 of the village folk from at least 76 families had perished. The victims included Mompesson’s 27-year-old wife Catherine, who had contracted the disease while tending to the dying. A direct descendant of one of the few villagers to have survived expressed sympathies with her relative. "It must have been terrifying,” she said, “but every single family would have had that strong belief in God, and would not have feared death." Adding, "it is almost overwhelming to think what it must have been like - I suspect fear stalked them every day of their lives at the time." Throughout September and October, the number of deaths caused by the pestilence declined and by November 1st, it had virtually been defeated. The last death being in December 1666. Even though Eyam’s mortality rate owing to the plague was far greater than that suffered by the citizens of London, Mompesson’s actions and the willingness of his parishioners to sacrifice themselves had undoubtedly prevented the disease from spreading throughout the north.